For example say you just reinstalled a computer and the device manager shows multiple unknown hardware with no drivers installed. Well you don't know what drivers to find since you don't know what the hardware is. Now with Tweaking.com - Hardware Identify you can see what that hardware is. The program also has a easy option to help improve the device database. Once you have all drivers installed you can have the program check for any hardware on the system that isn't in the database and submit it to Tweaking.com. With in a few days the database will be updated and the device list will grow with the help of users like you. Major changes to the graphics and controls of the program. Now supports high DPI systems and has improved graphics. Updated the program to show the icons for the hardware devices in Windows XP and also to better display the icons on other versions of windows for any that are not setup like default. Updated the program to pull the unknown or "Other Devices" icon. The class id for unknown or other devices is empty in the registry, so no icon was able to be pulled. The program now takes any device with no class id as unknown or other devices and shows the proper icon. Fixed bug where tab control wasnt changing colors. 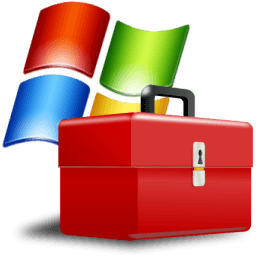 A powerful system information tool for Windows.